Hello Pinners! 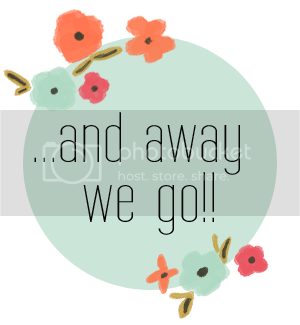 I have been so happy with the traffic that this post continues to receive because of readers like you! 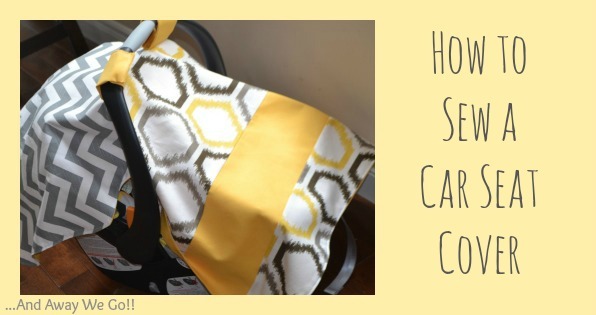 I have an updated, step-by-step "how to" for this car seat cover that I'd love for you to check out! 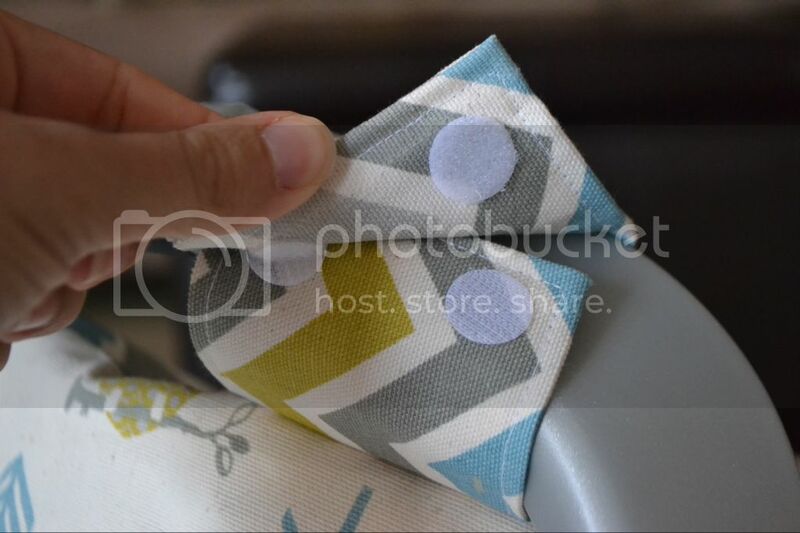 After learning the sewing basics this summer I was determined to attempt a larger, more useful project (one can only use so many pin cushions and burp pads!!). 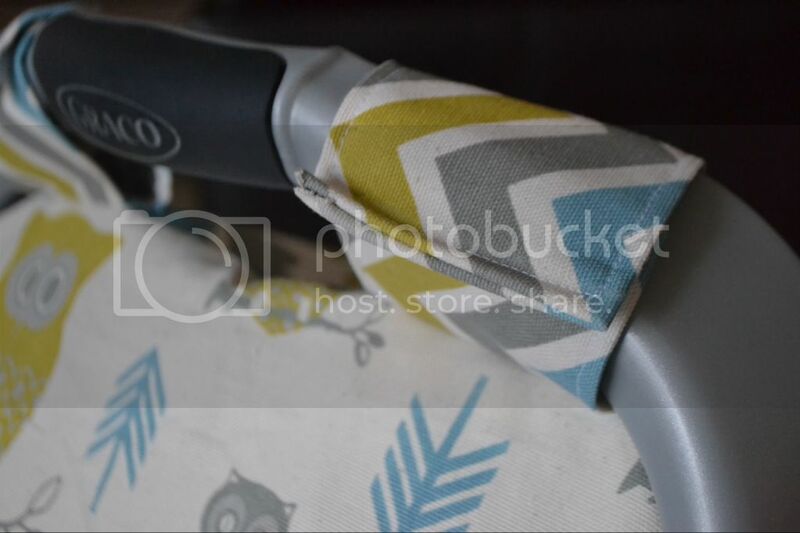 I have admired a variety DIY car seat covers on the Internet that seemed to be quite approachable for a newbie, like myself. I selected a tutorial that I found on Pinterest, altered the plan for my specific car seat (with the help of a patient friend) and went to work! It is basically just a blanket with straps. 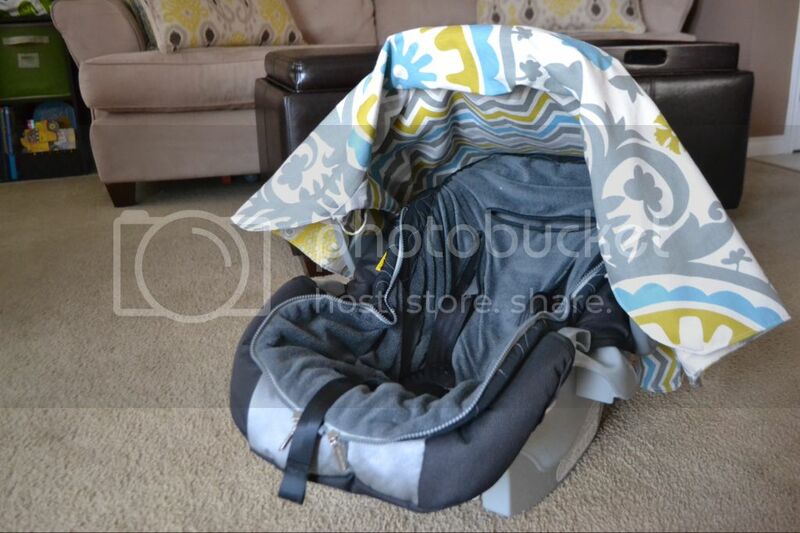 The cover can be lifted easily from the front or the back to allow air flow or just take a peek! I added "peel and stick" Velcro to the straps for easy removal. I have found the cover to be quite useful. It protects Henry from the sun, wind, and most importantly... the dirty hands of strangers at the grocery store!! Thanks for all your help Sara!! so impressive! 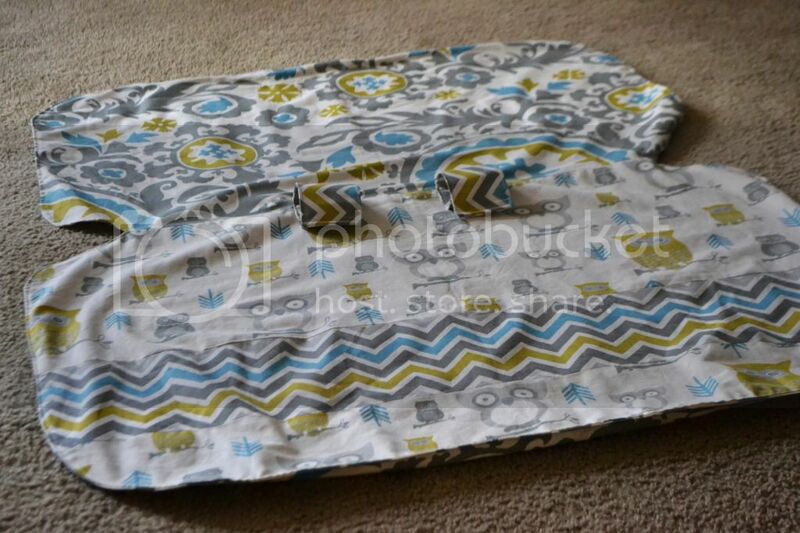 and i LOVE the fabric you chose. I LOVE IT Leanne!!! 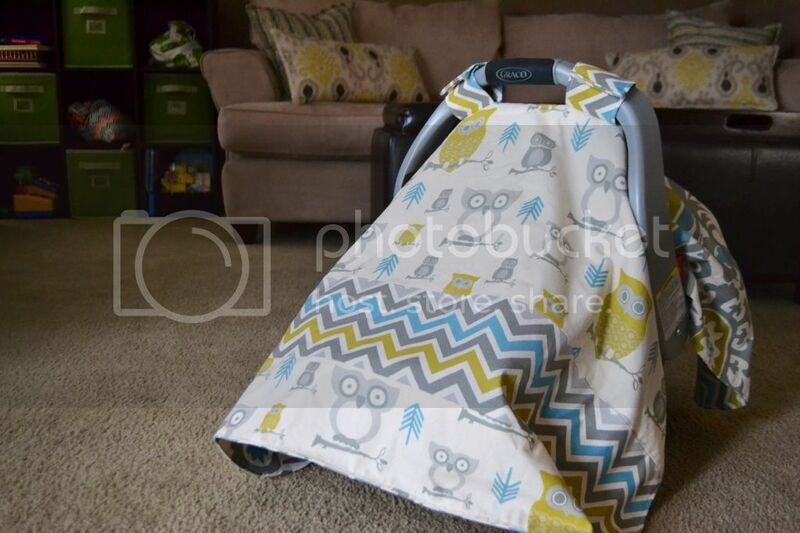 The fabric is sooo cute too!